My name is Dr Madeleine Tebbet and I am a compassionate and experienced Clinical Psychologist. I have gained chartership status from the British Psychological Society (BPS) and I am also registered with the Health and Care Professions Council (HCPC). After qualifying with a doctorate from Oxford University I spent a number of years working for the world renowned Tavistock and Portman NHS Foundation Trust before setting up my independent practice. I am trained in working with individuals, couples and families across the life span who present with a range of difficulties including anxiety, depression, behavioural difficulties, eating concerns, stress, relationship problems and famliy issues. Therapy should be a collaborative process and as a Clinical Psychologist it is my job to work with my clients to identify what will work best for them. I am trained in a range of theoretical models including Cognitive Behavioural Therapy (CBT), Systemic/Family Therapy, Psychodynamic Therapy, Behavioural Therapy and Compassion focussed therapy. This broad training enables me to be a truly integrative therapist and tailor my interventions appropriately for each client I meet. 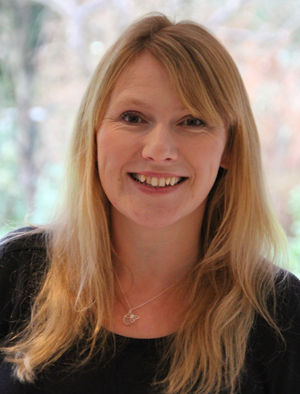 I specialise in working with children, parents and parents-to-be and I have a particular passion for working with individuals and families during the perinatal period (conception to baby’s 1st birthday). Pregnancy and the birth of a new child is a period of immense change. Though this can be a joyous period in life it can also be a challenging time. I specialise in working with perinatal difficulties such as antenatal anxiety/depression, postnatal anxiety/depression, miscarriage, still birth and pregnancy after a loss. I am also trained in the Watch, Wait and Wonder approach and Incredible Years babies. These programmes focus on developing positive attachments between parents and their babies. I aim to maintain the highest quality and standards in all my work. In order to achieve this I undertake regular clinical supervision, and attend regular training sessions and Continuing Professional Development workshops. I adhere to the professional codes of ethics and conduct set out by the British Psychological Society and Health and Care Professions Council. I am also registered with the ICO which is responsible for the enforcement of the Data Protection Act 1998.